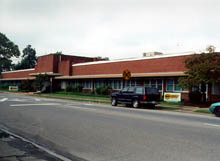 Null's Machine & Manufacturing, located in Huntington, WV, has built a reputation by providing quality products and service for over 30 years. We are equipped with the latest, most innovative processes in production and controls. Null's Machine & Manufacturing is an organization that is committed to excellence in design, manufacturing, and customer satisfaction. Null's Machine and Manufacturing, founded by Robert L. Null in 1967, is an innovative producer of trailer-brake systems, headlight systems for mining operations and a wide variety of high-quality machined parts. The company's products are noted for their superior quality and are in use nationwide in a variety of applications. Null's Machine and Manufacturing produces brake systems with a patented reverse mechanism for U-Haul® International's RV trailers and auto transports. This new, innovative braking system keeps the brakes from applying when the trailer is in the reverse mode which makes U-haul's trailers far superior than the competition. The firm has also developed and produced for the boat trailer industry braking systems noted for thier corrosion resistance to the saltwater environment. Along with these systems, Null's is a leader in the production of mine lighting systems approved by the Mine Safety and Health Administration (MSHA) and utilized throughout the nation's coal fields. In addition to having their own product lines, Null's produces a variety of high quality machined parts used in a broad range of applications. To enhance the operations of Null's Machine, a brass and aluminum foundry was started in 1970. Contained in this operation is an in-house pattern shop which allows for fast design and custom development of patterns for ease in production of ferrous and non-ferrous castings. Along with brass, aluminum, ductile and gray iron castings. Null's can provide forgings, light fabricating and plating. 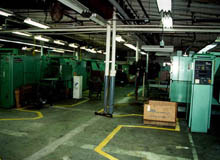 The company's state-of-the-art computerized machining equipment provides superior production capabilities resulting in the ability to produce large-volume orders on schedule...and at the high level of quality for which Null's has become famous. Null's Machine and Manufacturing has the proven capability to take an idea and turn it into a product. The company utilizes computerized drafting equipment, which enables them to design and enhance products precisely and easily. 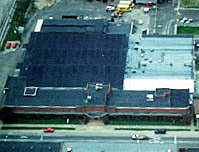 Over the years Null's has earned their reputation on the high quality of their products and service to their customers.